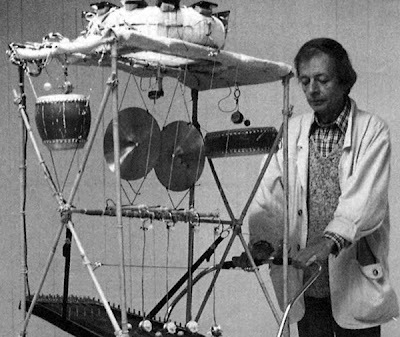 Fluxus artist Joe Jones finally found the equipment in the late 70s to realise an idea he first had back in 1964: building a solar powered machine to make music. Tonight on AG we play extended clips from two performances; recorded in 1983 and 1984. "After my first experience of using SOLAR ENERGY in my music, I found it difficult to go back to making battery powered pieces. 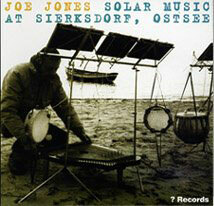 Playing with the subtle changes that occured in the sounds produced by the different combinations of solar cells and motors, under a constant light source (light bulb), selecting one, then taking this combination out into the sun light, where the movement of the earth, cloud formations, and wind, slowly and sometimes radically changed the sounds. The voltage being higher in direct sunlight and lower when cloud formations cast shadows over the solar cells. The wind plays it's part by gently or not so gently moving the motors or hanging instruments, causing them to swing. The combination of all these factors create the solar music for that particular day. From complete density of sound in a cloudless sky at mid-day to silence in a heavy sky or total silence at sun down. The first Solar Music Piece was hand made chimes 1977, Harlekin Art, Wiesbaden. This was immediately followed by hanging zitars, to take advantage of their multi-string sound capacity. The "Solar Zitar" pieces could be hung outside or in a window, the sun and wind creating their own composition. This was a development of an earlier idea, 1964, but could not be completed because of the cost of material at that time." 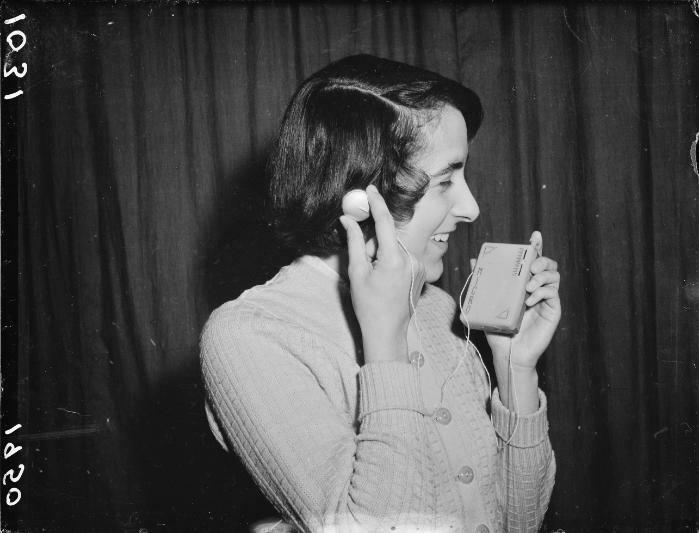 Regular AG host Sally Ann McIntyre, currently undertaking an artist residency on Kapiti Island, sends a series of raw field recordings as messages in bottles through the waves of the aether. A site specific transmission from Kapiti which includes binaural recordings next to beehives, a hydrophone recording of the electrical transmissions of feeding molluscs, and the sea as filtered through a microphone placed inside the hollow dry shell of a broken buoy, found as flotsam in-situ on a lonely isolated beach.